Craven & Co are delighted to have supported the Ty Glyn Trust Holiday Centre and Gardens. They’re a unique holiday venue providing self catering holiday/respite accommodation. It is fully accessible for groups, organisations and families whose members have disabilities. Centre Manager Kelly Melnicenko contacted Craven & Co to enquire about cutlery dispensing trolleys for the centre, which would provide assistance to the centre at meal times as visitors often help and volunteer during their stay. Kelly commented:’ The trolley would be much easier and safer than carrying cutlery from the kitchen to the dining area. Having a trolley will also help the support staff. They often give their time voluntarily to take disabled children for holidays/respite to the centre”. 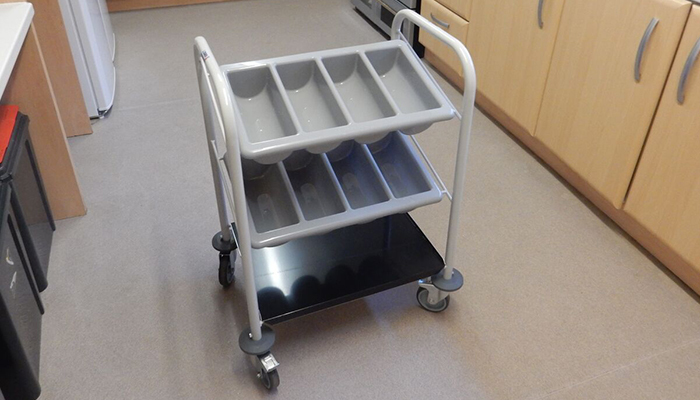 Craven were more than happy to provide a solution for the centre in the form of a free trolley. Neil Fox, Sales Director at Craven & Co added: “We are a people company and it’s in our brand personality to help charities, individuals and business whenever we can. It put’s a smile on our face knowing that we have supported a great charity. Kelly and the team at the Ty Glyn Trust do a fantastic job, it’s the least we could do”.